Brian Thornton is currently the Chief Financial Officer of Summit Nephrology. Along with Drs. Bhat and Spin, Dr. Thornton co-founded Summit Nephrology in 2005. 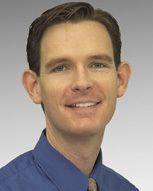 Dr. Thornton spent 10 years at UC Davis Medical Center completing medical school, medical residency, a teaching year as Chief Resident and a Nephrology Fellowship. He sees patients in the Summit Nephrology Roseville Office, and cares for patients primarily from Roseville, Rocklin, Citrus Heights and surrounding areas. Dr. Thornton is active in his local medical community. He is the Medical Director of the Secret Ravine Dialysis unit and currently serves as Chair of the Pharmacy and Therapeutics Committee at Sutter Roseville Hospital. Dr. Thornton lives in Sacramento County with his wife and their two children. Dr. Thornton was listed as a Sacramento Magazine “Top Doctor” in Nephrology in 2016 and again in 2017. CFO, Summit Nephrology Medical Group Inc.